Will Your Business Recover From a Disaster? | The Voss Law Firm, P.C. In the wake of Hurricane Harvey, it is more important than ever to craft an effective disaster response plan for your business. 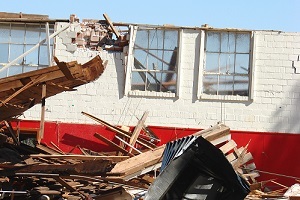 Attorney Bill Voss explains which steps to take after a disaster strikes your business and how to get compensation from your insurer that will keep your business afloat. According to the Federal Emergency Management Agency (FEMA), over 40% of businesses that close after a disaster never reopen, while roughly 30% will still be in operation two years afterward. One of the biggest reasons businesses are vulnerable is the potential loss of data through information systems. Data loss or technology failure that lasts a week or more can significantly increase a business’ chances of filing for bankruptcy within a year after a disaster. Natural disasters (such as hurricanes, tornadoes, earthquakes, and floods). Epidemics or health crises (such as a virus outbreak or spread of serious illnesses). Violence (including shootings, vandalism, and terrorism). Man-made emergencies (such as explosions, chemical threats, or radiation leaks). Once you are sure your losses will be covered, it’s time to reexamine your business’ preparedness plan. Businesses should have a specific plan for each type of threat, and train employees and supervisors on their roles in these emergencies. Written policies. Hard copies of the preparedness plan should be made available to all necessary parties, and should outline proper procedures for immediate responses, resource management, crisis communications, business continuity, and employee assistance. Testing. A disaster drill should be performed several times per year, allowing employees and supervisors to execute their duties and identify problem areas with the procedures. Staff interviews and responses should be conducted to evaluate the effectiveness of the plan. Improvement. Owners and management should meet regularly to review and make improvements to the preparedness program. Meetings should be called immediately if certain changes— such as movement to a new location—drastically affect the plan. If you did everything you could to protect your business in the wake of a disaster but still cannot get the insurance compensation you are owed, we can help. Fill out the form on this page today to contact our commercial insurance attorneys, or order a free copy of our book, Commercial Property Owners Must Read This BEFORE Filing an Insurance Claim.